Hanoi (VNA) – The ninth Nha Trang – Khanh Hoa Sea Festival, slated for May 10-13 in the central coastal province of Khanh Hoa, is the highlight of the Visit Vietnam Year 2019, Vice Chairman of the People’s Committee of Khanh Hoa Nguyen Dac Tai said at a press conference in Hanoi on March 29. According to the organising board, the opening ceremony of the Visit Vietnam Year 2019 and the sea festival will be broadcast live on VTV. Around 50 cultural and art programmes will take place along Tran Phu Street, Nha Trang city, nudging local culture closer to domestic and international friends. Those comprise the whale worshipping festival, traditional human chess play, and reformed opera performances, among others. Besides, the festival will feature various conferences, art exhibitions, and sport events. Meticulous preparations are underway for the events in terms of tourism facilities. The Ministry of Culture, Sports and Tourism’s code of conduct for tourists will be observed and the province will work to ensure social security and order as well as food safety and hygiene. The festival has been held biennially since 2003 to promote local tourism. Some 120,000 foreign and domestic tourists flocked to the city during the previous festival. 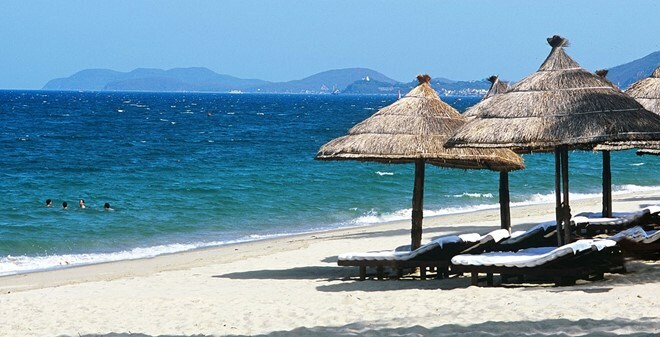 A coastline of 180 kilometres, stunning natural landscapes with Van Phong, Nha Trang and Cam Ranh bays listed as the world’s most beautiful bays, and such festivals as Ponagar Temple festival, whale worshipping festival, and Salanganes Festival, are advantages for Khanh Hoa to develop tourism. According to the provincial Department of Tourism, number of tourist arrivals to the locality has increased substantially in the past years. The province welcomed 2.3 million visitors in 2012, and the figure rose to 5.5 million people five years later. In the first nine months of this year, more than 5 million people chose Khanh Hoa to spend their holidays, including 1.7 million foreigners, up more than 116 percent compared to the same time in 2017. Currently, the locality has 680 accommodation facilities, with 31,700 rooms.